British immigrant puts her skin-care training to work in America--for herself and U.S. estheticians. 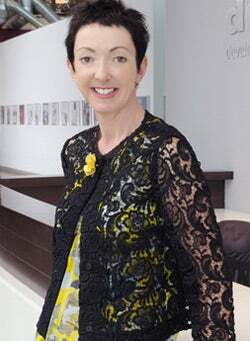 Jane Wurwand was a skin-care expert when she immigrated to the United States in 1983. She spent three years training for her license in England, so she was surprised to learn that American estheticians needed only four months' worth of training. At the time, Wurwand figured the difference in timing was simply another example of Americans' superiority. "Wow," she thought. "It only takes Americans four months to learn what takes us three years!" The Brit was soon disabused of that notion. A colleague at La Costa Resort & Spa in Carlsbad, Calif., called on her to train 60 estheticians on a new piece of equipment. She soon discovered that those estheticians were largely hairdressers grandfathered in as estheticians without commensurate training. In need of a job, Wurwand created one. She realized that American skin-care specialists needed "post-graduate" training. So she started a school, The International Dermal Institute. Because she didn't own a car, she rented 1,000 square feet of space next to a Social Security office within walking distance of her home. To find her students, she contacted the state licensing board. For $25, she received a set of labels totaling 2,300 names. "I figured out the ZIP codes for people within a two-hour drive, and I offered a free orientation session," Wurwand says. Seventy people responded--and they remained with her, week after week. She charged students $10 a person for lessons every Monday. Two years into the weekly classes, students began requesting products they could use on their clients. Wurwand set her sights on creating a product that was health-oriented, rather than beauty-oriented. She had definite ideas, she says. She didn't want products that used mineral oils, lanolin, artificial color, formaldehyde or artificial fragrances. She consulted 70 chemists, and they all said it couldn't be done. Desperate, she wangled the name of Max Factor's chief chemist from her sister, who worked for the company. The chemist said he couldn't take on the task because it would be a conflict of interest, but he agreed to meet with her--and he confirmed that her idea would be workable if she used food-grade preservatives. He supplied the name of a raw-materials supplier, and through that connection Wurwand found a chemist to design the Dermalogica line. Wurwand blesses her naivete in the beginning. "I didn't know you couldn't do it, so I just plowed ahead," she says. Wurwand introduced the line of 28 products at a trade show in Long Beach in 1986. The company needed to raise $15,000, the cost of producing the products. So she boldly told prospective customers they had to buy the whole line, for an opening order of $1,500. Further, she informed them that the products wouldn't be shipped until March. She was hoping for 10 accounts to reach the $15,000 needed. Her boldness paid off: She opened 10 accounts in the first three hours and 40 by the end of the show. Today, Dermalogica is a $250 million company. The product is sold in 51 countries and carried by 28,000 salons. The firm also operates 40 training centers, which Wurwand is quick to say "is still our foundation." Wurwand has been enamored by the skin-care industry since age 13, when she started sweeping floors at a beauty salon in the small English town where she grew up. She notes that the first business that opened in Kabul, Afghanistan, after the war in 2001 was a beauty salon. "Women were disconnected from each other. This was a place where they would be able to take off the burka" and, in effect, let their hair down. 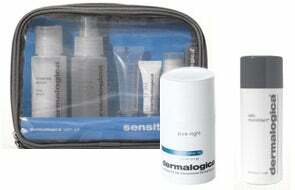 At Dermalogica, skin care isn't just about treatment. "It's about having someone touch you" and have a conversation with you, Wurwand says. That's why social networks work well for Demalogica. "When I go on the Facebook page, it's like I'm hanging in the staff room at any salon," she says. "Where you see the greatest pain, you've seen an opportunity." Wurwand realized that Americans needed education, and that paved her way to success. "If you're not passionate, what will get you up at 6 a.m. in year two?" "You have to be a risk taker and an optimist" in order to succeed.